Darshan Patel - California - Book a consultation instantly! For me, practicing law is not about profits as much as it is to serve the community. Due to such, I have opened a new firm, Law Office of Darshan Patel, APC. Having owned independent and franchised properties, the attorneys in my firm understand the issues our clients face and the laws that impact them. This understanding allows for a more proactive approach to obtaining favorable resolutions. Darshan focuses his practice in the areas of commercial real estate, representing clients in financing, buying, selling, leasing and developing property. In his acquisitions and dispositions work, he represents clients in all aspects of the transaction, from negotiation of letters of intent, purchase and sales agreements, due diligence and financing. In his leasing work, he has counseled both landlords and tenants with respect to negotiating leases for single and multi-tenant office, retail, medical and industrial properties as well as subleases, assignments and various other related documents. 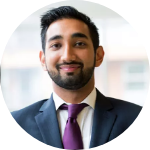 Darshan also has significant experience drafting and negotiating documentation in connection with secured and unsecured lending transactions and regularly represents financial institutions and special servicers on matters involving origination and securitization as well as workouts, assumptions and the exercise of lender remedies. He has also counseled financial institutions regarding secondary market transactions including pooled note sales and loan participations. Recently Darshan has represented clients in connection with luxury hotel projects, including acquisition of the land, formation of single purpose entities and other general business matters, securing conventional and mezzanine construction financing and negotiating development, operating and management agreements.